Amid rising tensions over the issue, a complete shutdown was observed in Kashmir and the Chenab valley of Jammu region on August 5 and 6. 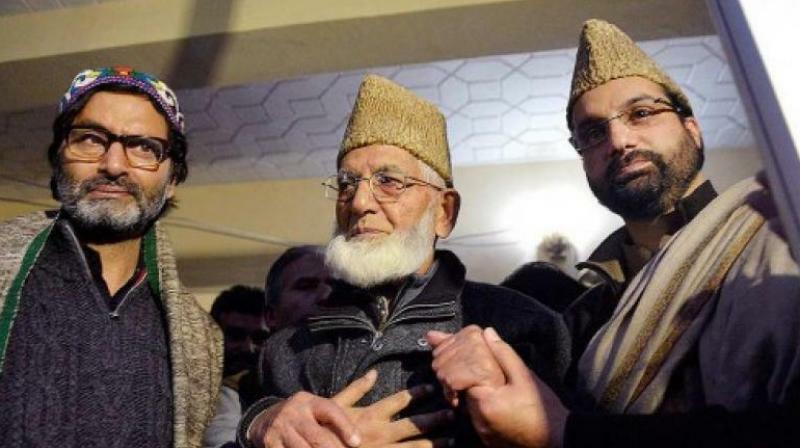 Srinagar: An alliance of Kashmiri separatist leaders on Friday called for a two-day shutdown in the State from August 26 against what it alleged are deliberate attempts to tinker with Article 35A of the Constitution. The Supreme Court had on August 5 adjourned a scheduled hearing on a cluster of petitions challenging the validity of Article 35A as one of the members of three-judge bench was not present. Article 35A guarantees special rights and privileges to permanent residents of Jammu and Kashmir and thereby prohibiting non-permanent residents from permanent settlement and from acquiring immovable properties, government jobs and scholarships in the State. The provision also empowers the State Legislature to define such “permanent residents”. The two other members of the bench -Chief Justice of India (CJI) Dipak Misra and Justice A M Khanwilkar- had announced that the case will be listed before three -judge bench in the week starting August 27 and that bench would determine whether the matter is required to be referred to a five-judge one also referred to as ‘Constitutional Bench’. The main petition against Article 35A was filed by an NGO, ‘We the Citizens, believed to be an RSS think-tank, in 2014. It challenges Article 35A on grounds that it was not added to the Constitution through amendment under Article 368 and that it was never presented before Parliament, and came into effect immediately. Amid rising tensions over the issue, a complete shutdown was observed in Kashmir and the Chenab valley of Jammu region on August 5 and 6. Protests were held also in Muslim-majority parts of Poonch and Rajouri districts of Jammu region on August 6 whereas Kargil district of Ladakh too witnessed streets protest against alleged attempts to tinker with J&K’s special status. The call for the strike and protests had been issued by ‘Joint Resistance Leadership (JRL)’ which had on it key separatist leaders Syed Ali Shah Geelani, Mirwaiz Umar Farooq and Muhammad Yasin Malik and the same was endorsed by various other political, social and religious organizations and trade and civil society groups. Earlier during the day, Mr. Malik led a protest against attempts being made to seek removal of Article 35A at Madina Chowk in Gow Kadal area of Srinagar.